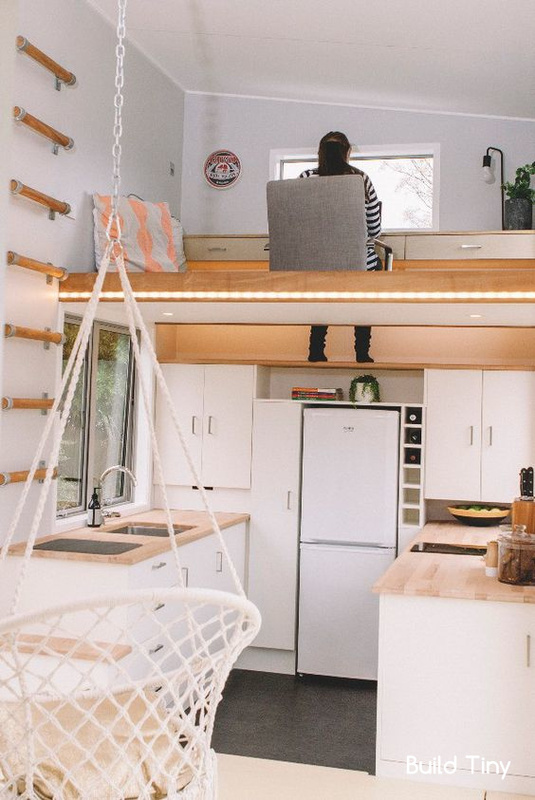 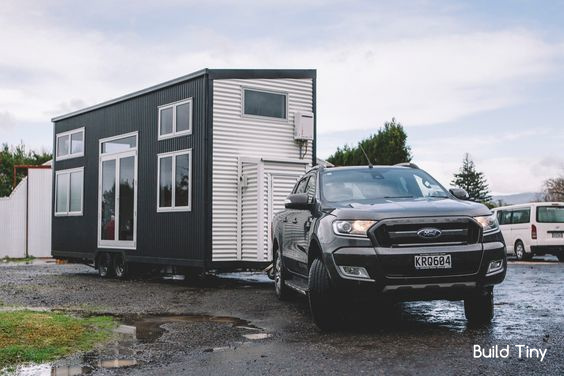 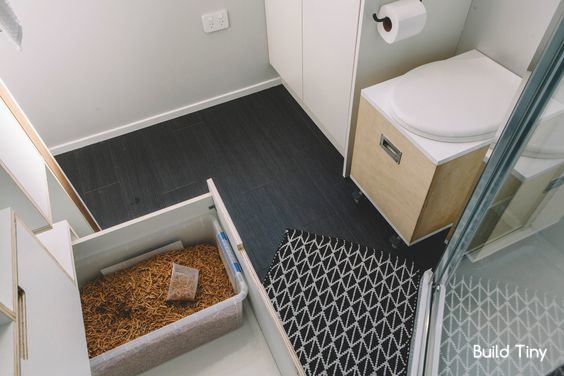 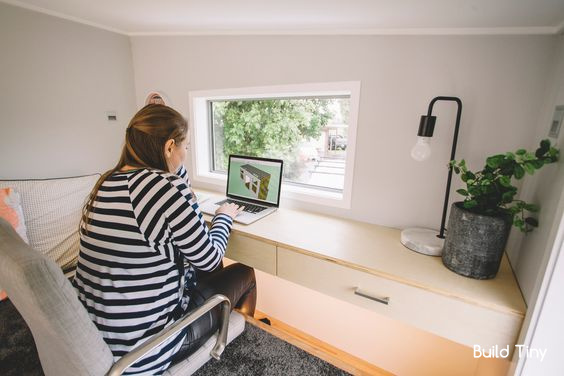 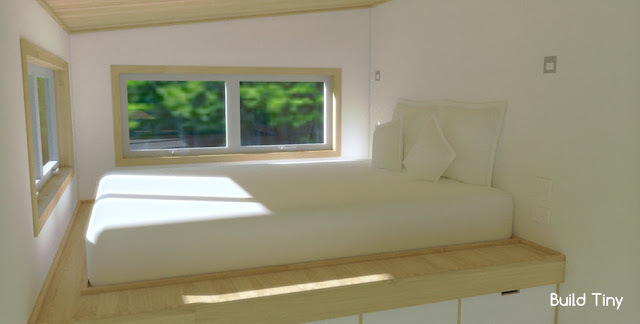 From New Zealand is this innovative new tiny home named the "Millennial Tiny House". 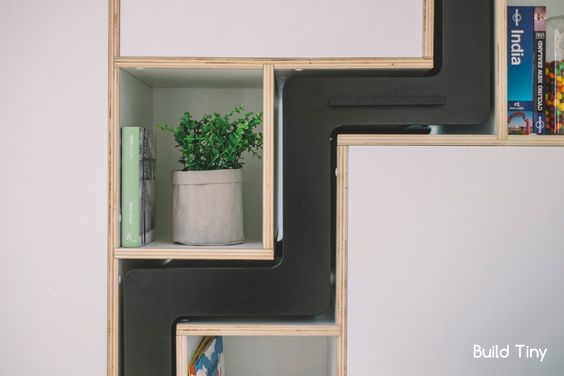 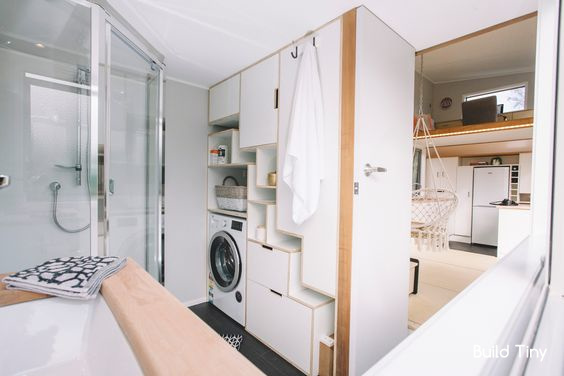 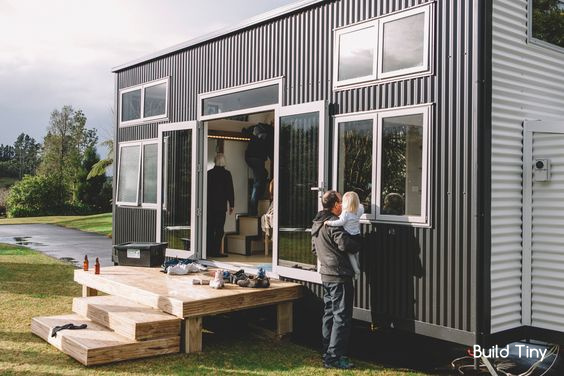 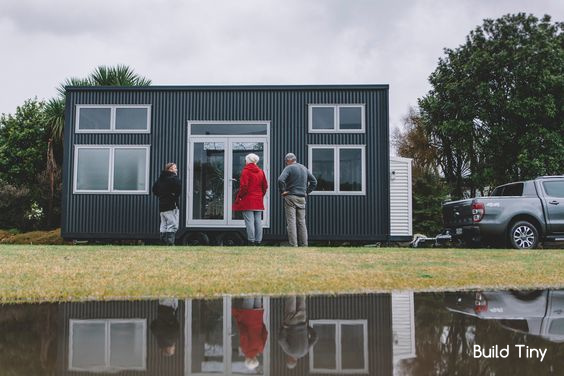 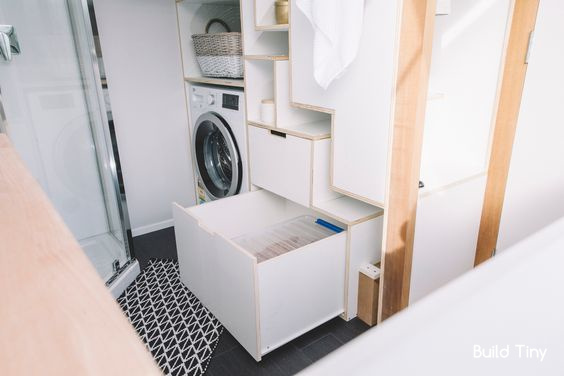 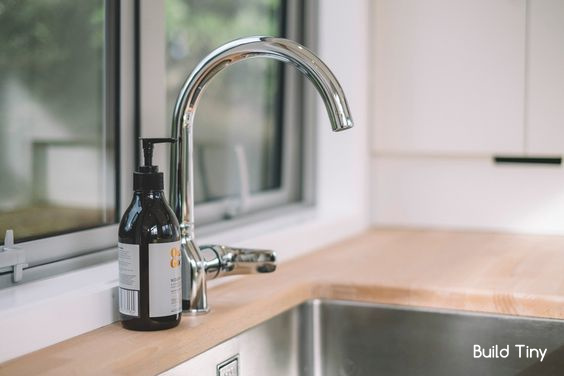 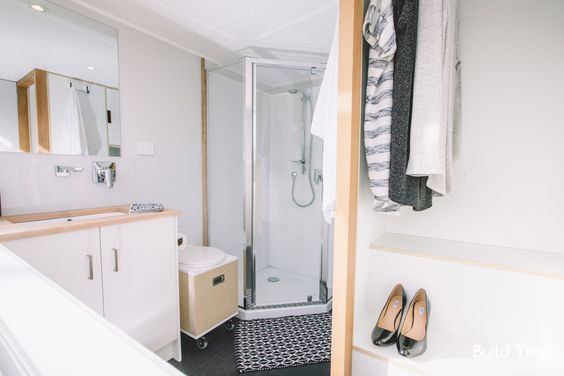 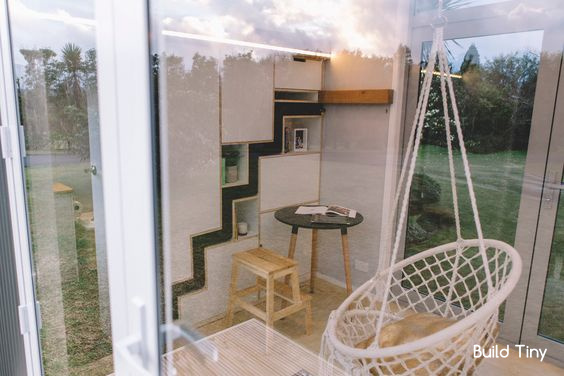 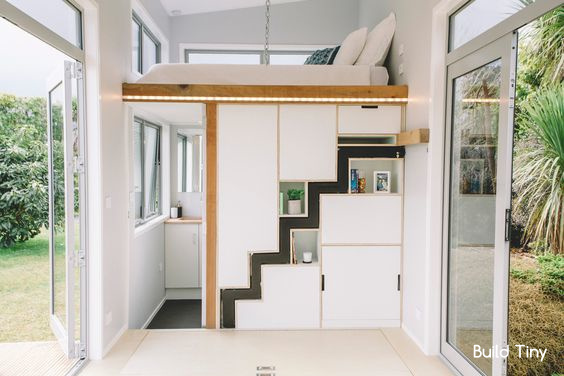 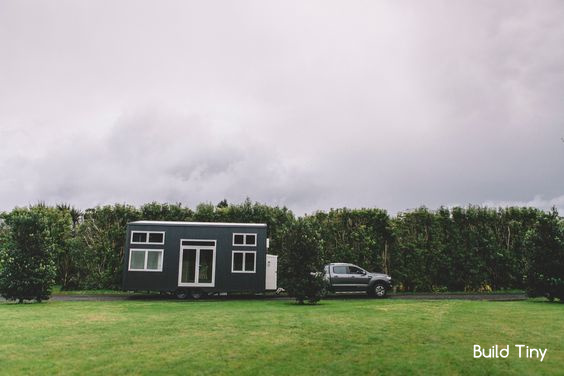 Designed and built by Build Tiny, it's one of the few tiny houses available to the New Zealand market. 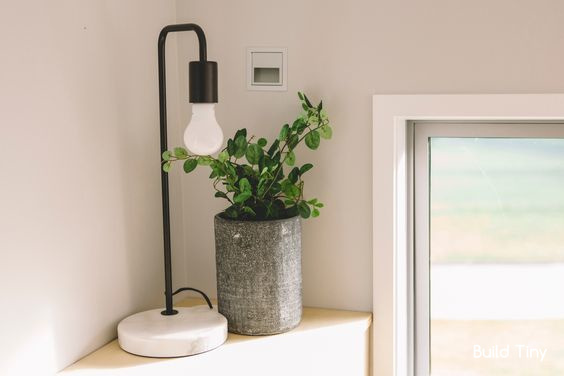 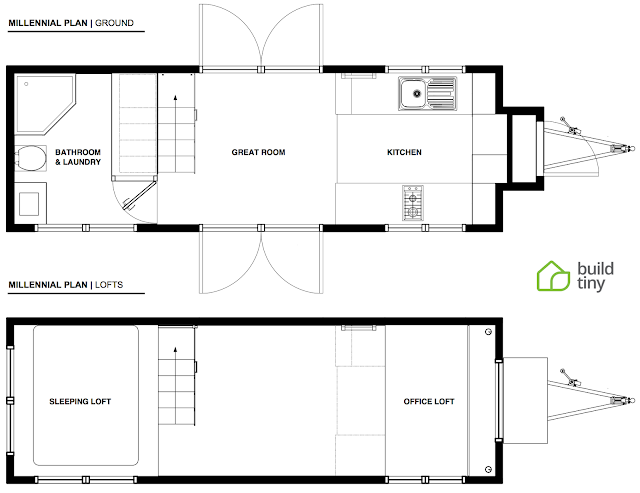 The home is offered in one of three stages; as a basic shell, a shell with insulation and wiring, or as a turn-key ready model. 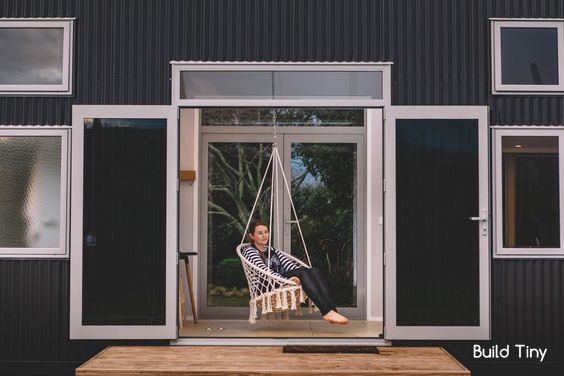 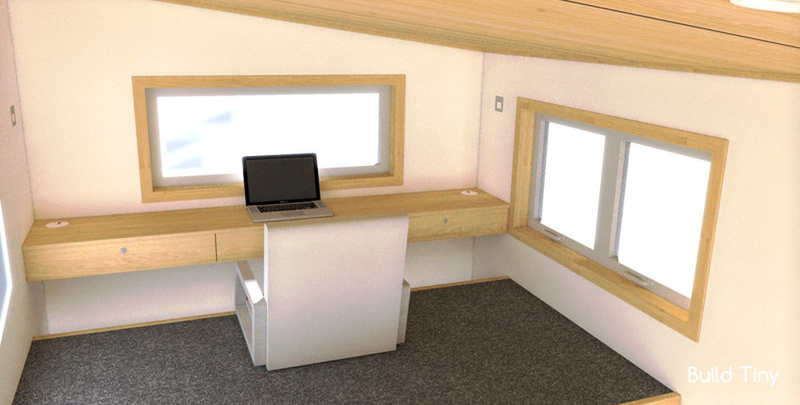 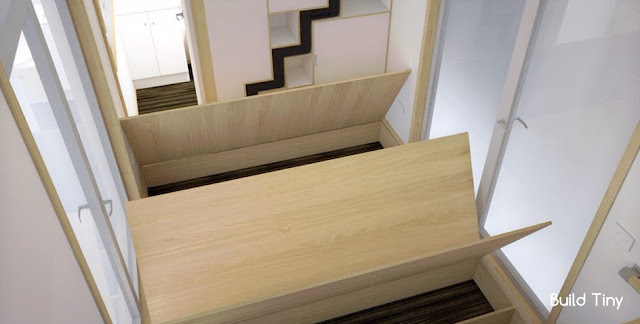 The Millennial House comes built onto a trailer and measures 7.3m x 2.5m (about 23.9' x 8.2'). It features a steel exterior with the option to customize the color, and earthwool insulation. There's a main water hookup, standard electrical wiring, and a hookup for a propane tank for cooking, however you do have to option to add solar power and/or a water tank for an additional fee. 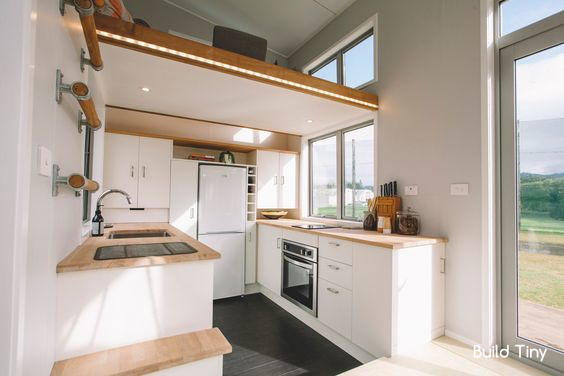 The kitchen comes equipped with a two-burner stove, open shelving, a fridge/freezer, and a sink. 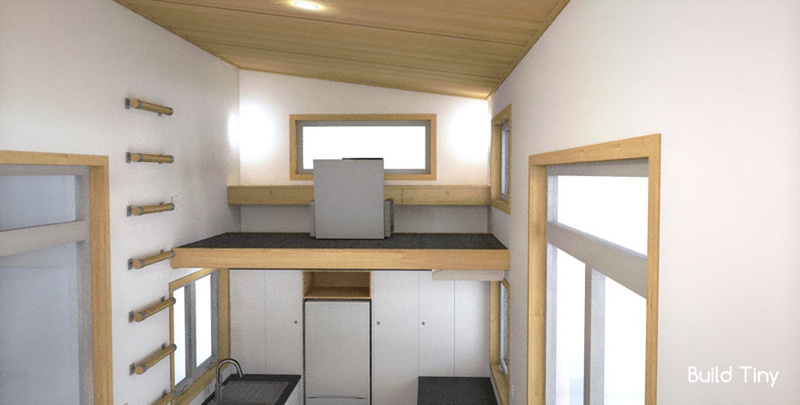 Also included is a master loft bedroom, an office loft, a bathroom and laundry room, vinyl flooring, and a smoke alarm. 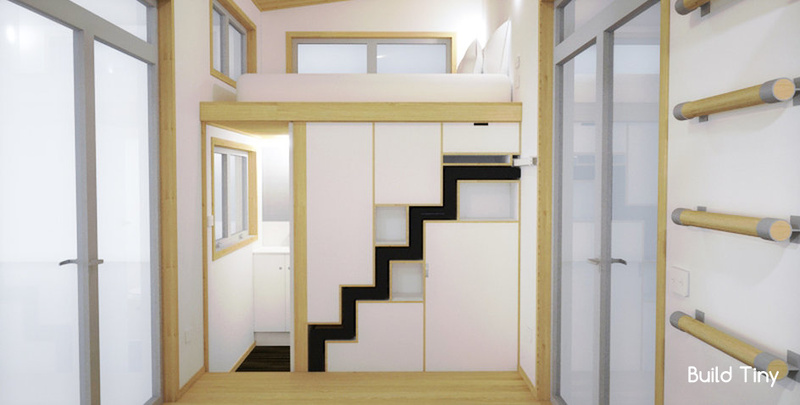 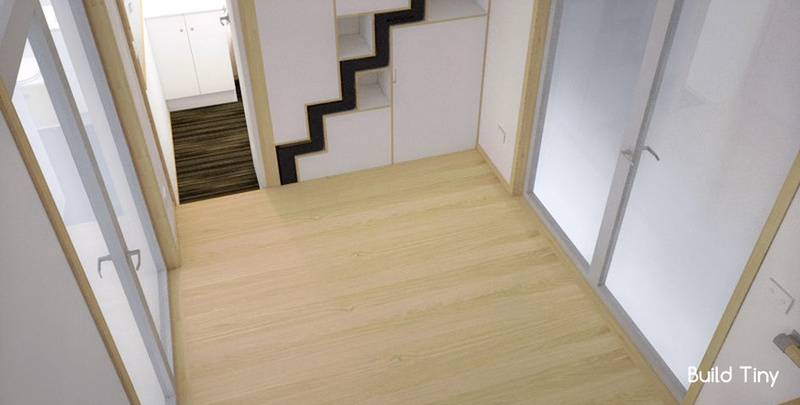 Perhaps the coolest feature of the home overall are the retractable stairs leading up to the loft bedroom. 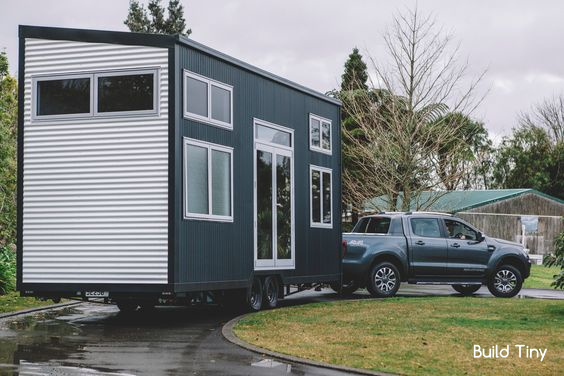 Pricing for the shell units starts at $49,750 NZD (about $36,148 USD) and goes up to $97,500 NZD for the turn-key model (about $70,843). 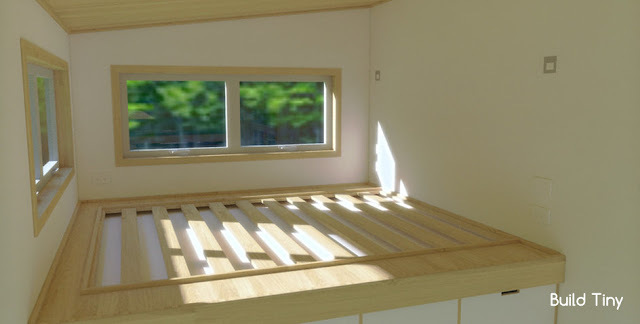 For more details and/or inquires contact Build Tiny here!